Add some glitz ‘n glam to your fingertips with nail colors reminiscent of vibrant streamers at a festive parade! Wear alone or over your favorite Anna Sui Nail Color to make the perfect accent to any manicure. 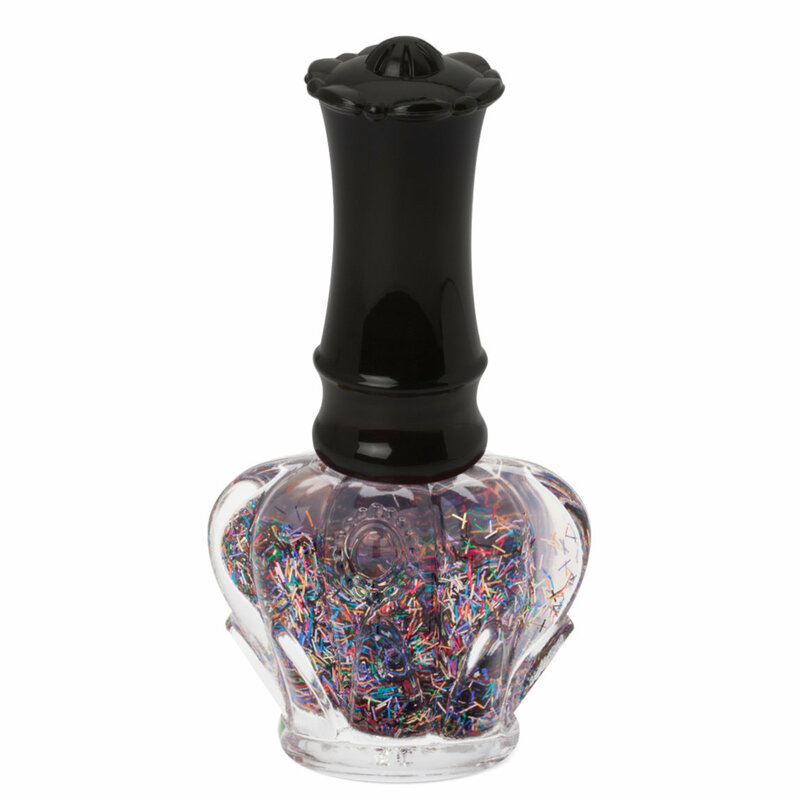 The strips of confetti-like lamé create captivating nail looks and are formulated with a clear base.